The NuMax SFN64 Pneumatic 16-Gauge 2-1/2″ Straight Finish Nailer is ideal for applications such as decorative trim, furniture trim, rail moulding, crown moulding, window casing, door installation, base boards, chair rails, picture frame assembly, and hobbies and crafts. Compatible with 16 gauge straight finish nails from 1″ to 2-1/2″, this air powered nail gun features a quick jam release for fast clearing in the event of a jammed fastener, along with a tool-free finger depth adjust for various applications. 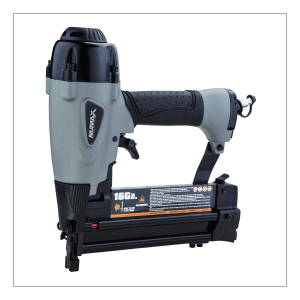 An ergonomically engineered die cast aluminum body makes this rugged and lightweight finish nailer easy to operate over extended periods of time. The comfort grip handle and no mar safety tip ensure great results by increasing precision and preventing damage to your working surface. A one piece drive blade of hardened steel adds to the durability of this nail gun. Air tool oil and adjustment tools are included. 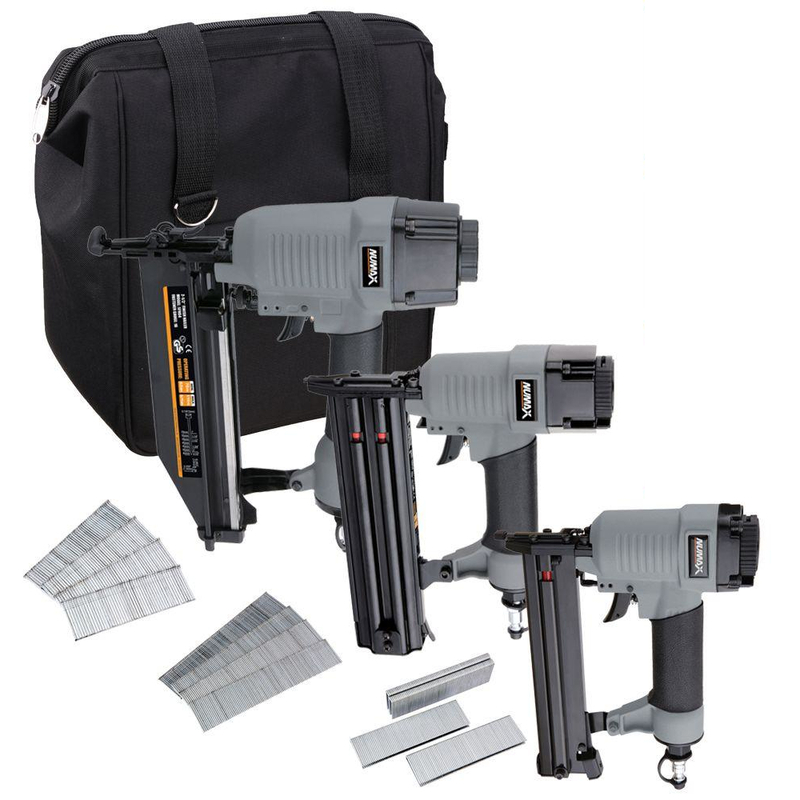 The Pneumatic 16 Gauge 2-1/2″ Straight Finish Nailer is an essential tool for DIYers at home as well as professional contractors at the job site, and is covered by NuMax’s 1 Year Limited Warranty and 30 Day Limited Parts Warranty. 16 Gauge Glue Collated Straight Finish Nails from 1" – 2-1/2"